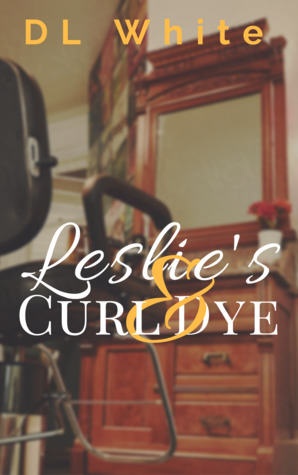 Summary: Leslie Baker, owner of Potter Lake’s original hometown beauty shop, the Curl & Dye, has a problem. Her problem isn’t her dwindling customer base. And it’s not the shifty, shady mayor of the idyllic lakeside town. Her problem is a muscular, handsome, 6’4” former basketball superstar with a solid physique and colorful sleeve tattoos. Kade “KC” Cavanaugh is back in Potter Lake following his NBA retirement and the business he’s opened, a slick and shiny co-ed salon, directly competes with Curl & Dye. KC is all too eager to to pick things up where they left off fifteen years ago, but Leslie can’t forget how KC pushed her away after an intimate encounter, then dropped out of Healy University and left her behind for the bright lights of professional ball. . But although she won’t admit it, time and maturity have eaten away at her anger and her long-buried attraction to Kade Cavanaugh has resurfaced. Now there is a larger problem: Leslie and KC find themselves in the center of a city wide drama, and with both sides of Potter Lake at war and their livelihoods at stake, the two have to stop sniping at each other and start working together. And maybe, in the process, forget the past and revive a budding romance that was very special...a very long time ago. Review: I love romantic stories set in small towns, so D.L. White scores huge points with me for creating the fictional town of Potter Lake and its cast of characters. Much like the towns Beverly Jenkins created in her Blessings series and Farrah Rochon with her Bayou Dreams and Moments in Maplesville series, I just want to pack up my bags and move there. While the main characters and their story lines are predictable, in introducing so many townspeople, there's potential to turn this initial story line into a broader series. The playful banter between KC and his twin sister, TC, reminded me of the relationship Cam and his sister Mary Charles have on Survivor's Remorse. It's light and playful on the surface but both would do anything for their siblings. I'd like to see TC get a little more shine. There's more to her than just running KC's business and living next door to him. Leslie's best friend, Tamera, seems to have a story of her own to tell as well. What was she doing back in Potter Lake when Leslie was living it up in Chicago? Miss Earline who gets her hair done at the salon and continues to slay in her golden years definitely has a story. There are so many tales to be told. I won't pressure the author to churn out another book. I won't bother her about creating a series from this. (I'm lying, yes I will.) I know that good things come to those who wait. It may take time before the rest of the characters start talking to her like they talked to me, but whenever she's ready to go back to Potter Lake, I'll be there waiting. Disclaimer: Copy of book received from author, opinions are my own.